"Do you dream of sailing around the world in a sailboat? Do you have a business or career you don't want to sacrifice for that dream? You don't need to quit your job, sell your house, and take the kids out of school to complete a circumnavigation of the globe in a sailboat. You don’t have to wait until you are retired to sail for the South Pacific. This book tells you how you can do it without uprooting your life by taking as little as two months per year off to sail the trade winds. Circumnavigating the globe in a sailboat is on par with scaling Mount Everest in terms of its rarity. Many potential circumnavigators are hobbled by misconceptions about the journey that mountaineers lack when climbing to the top of the world. It is said, “I want to circumnavigate to see the world.” Nevertheless, successful trade wind circumnavigators don’t see the world. Instead, they travel on a narrow ribbon around it stopping mostly at a narrow range of countries that are downwind. Lack of focus causes many more failed circumnavigations than storms at sea. The conventional wisdom is that you need to quit your job, sell your house, and live on the boat year-round. The reality is that even retirees circumnavigating full-time keep their boat in port half of the year because of the demands of cyclone season. There is no good way to elude the November to April cyclone season that dominates 60 percent of the trade-wind circumnavigation route. The mad rush from the eastern Caribbean to the “safe” ports in New Zealand and Australia in a single calendar year is misguided. It sets cruisers up for hard, upwind ocean passages in future years and saps the resolve of their crews. A better solution is to haul out their boats in the South Pacific and fly back to their homes in the developed world during the cyclone season. It makes more sense to keep one’s job and home and take annual two-to-six month leaves of absences to move the boat forward during the cruising season. Learn about the trade-wind route around the world with stops in Panama, the Galapagos, the Marquesas, Tahiti, Fiji, Vanuatu, New Caledonia, Australia, Mauritius, Chagos, Madagascar, South Africa, St. Helena, Brazil, and the eastern Caribbean. Learn why the Pirate attacks in the Gulf of Aden have NOT made circumnavigating the globe harder. This is the second book by the bestselling author of Slow Boat to the Bahamas, Linus Wilson. Dr. Wilson got his doctorate in financial economics at Oxford University. He sails an Island Packet 31’ with his wife, daughter, and four pound poodle. He has been published in Cruising Outpost and Good Old Boat magazines. 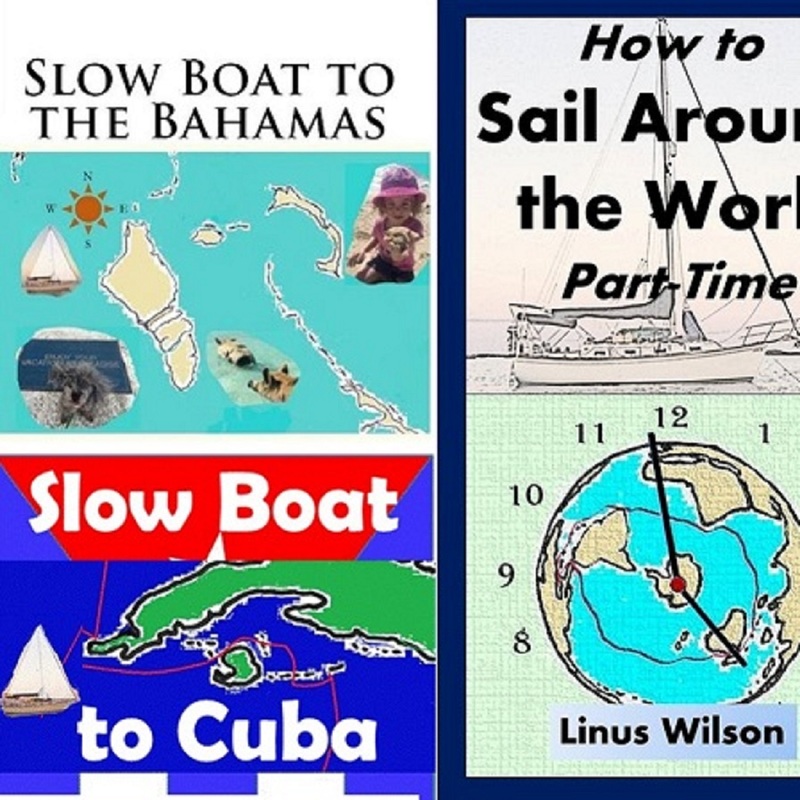 To learn more about the author’s adventures, boat repair tips, free chapters and books, subscribe to his newsletter at www.slowboatsailing.com."